Who, me worry? 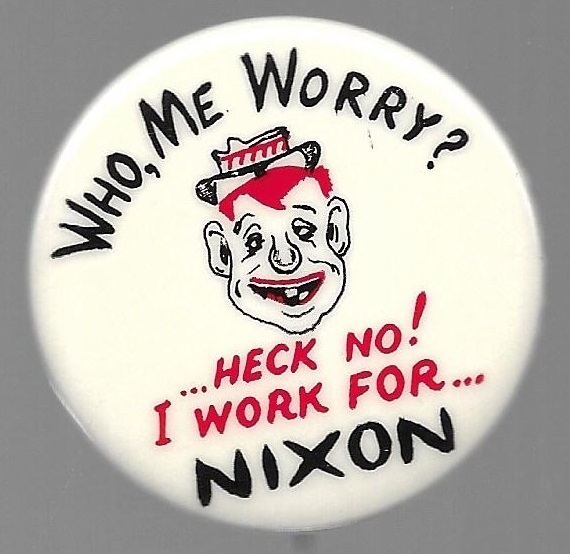 Heck no, I work for Nixon. Popular 1 ¾ inch celluloid with anti-Nixon theme in excellent condition.